Made Safe is excited to announce our partnership with Workplace Engineering Solutions. As the industry-led safety association for manufacturing, we make it easier for employers and workers to ensure Manitoba workplaces are safe and productive. Workplace Engineering Solutions shares our belief that safe and productive workplaces are critical to the success of Manitoba’s manufacturing industry. Workplace Engineering Solutions focuses on machine safety, understanding that every machine incident is preventable: a sentiment we also share at Made Safe. Most importantly, our partnership means Made Safe members can now access WESguard, the machine safety application, at a reduced price. Made Safe members will receive 12 months of WESguard for the price of 11. One free month each year! A subscription-based app, WESguard allows manufacturers to discover hazards, explore solutions and reduce equipment risk. It comes with support to drive risk reduction using a continuous improvement model (especially important for manufacturers already committed to LEAN). 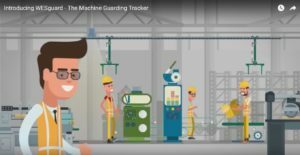 This web application for machine safety promotes collaboration within an organization, and with machine safety experts. Made Safe believes this partnership will also further collaboration across groups of companies as we work together to share success stories and lessons learned to benefit the industry as a whole. To take advantage of this offer, email info@wesguard.ca expressing your interest in a demonstration of WESguard. You can also visit www.wesguard.ca/freetrial to register for a free trail account to start reducing risk today.